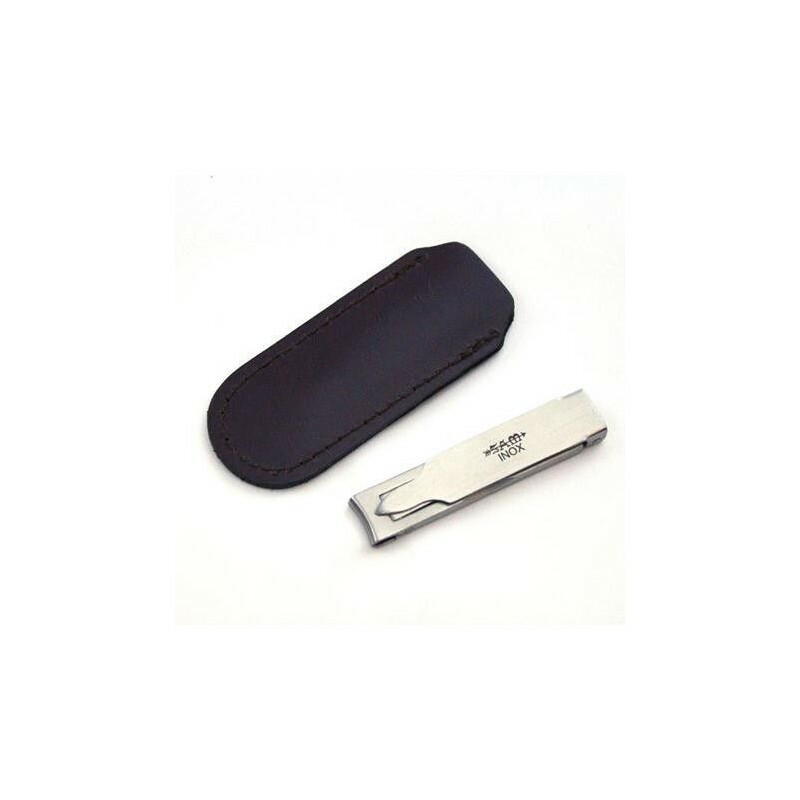 Flat French style pocket nail clipper and file. 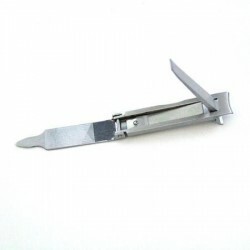 These small clippers are ideal for the pocket or purse and are hot-forged and precision ground. Designed and ground in best French tradition, these will last for years and years. 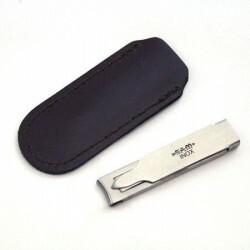 Flat French style pocket nail clipper and file. 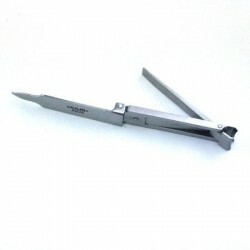 These small clippers are ideal for the pocket or purse and are hot-forged and precision ground. 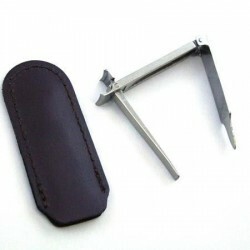 Designed and ground in best French tradition, these will last for years and years. 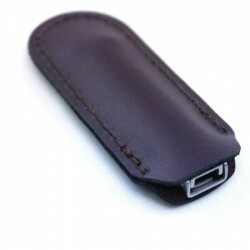 Supplied in leather sheath as shown. Stainless steel. 57 mm length when closed. Made in France.